The yoga community tends to be a tad uninformed about human movement & strength training physiology, and when established yoga entities like Yoga Journal publish misinformed articles like this one, this doesn’t help matters much! This article features a yoga sequence that is claimed to be “better than most weightlifting programs” for building muscle & strength. And unfortunately, that claim simply isn’t true and only serves to confuse people. Weightlifting is actually much better than this yoga sequence for strengthening because unlike the yoga sequence, weightlifting utilizes close to maximum force production & progressive overload, which are the ingredients you need for true strengthening. And due to time constraints on this mini-post, I won’t go into how “strength” and “building muscle” (i.e. hypertrophy 🤓) are not actually the same thing, even though the YJ article lumps them together as though they’re interchangeable. To be clear, the YJ sequence definitely offers many benefits 👍🏽, but it is not significantly strengthening or muscle-building. Now I know that it’s very common for people to use the term “strengthening” loosely - I do this myself at times too! But my main issue with this article is the way it misleads people into thinking that yoga is *better* than weightlifting for strength, which promotes the long-outdated idea that yoga is the only practice we need to be healthy. Yoga has many amazing benefits, and we can even make it *strengthening* if we make some conscious additions & changes to it. But the sequence as featured in the article does not accomplish this, nor is it better in any way than weightlifting for strength. Let’s be clear with our terms so that people who really DO want to strengthen won’t be misled into thinking that sequences like this will do the trick! A Yoga Journal article entitled “Alignment Cues Decoded: ‘Soften Your Front Ribs’” by YogaWorks teacher Alexandria Crow came through my Facebook feed yesterday and I decided to write a response to it. 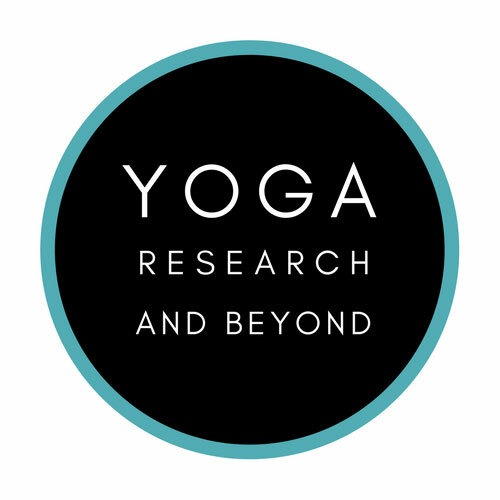 As you might know, I am very interested in seeing our wonderful yoga world update its traditional alignment cuing with the intelligence of biomechanics and modern movement science. I've found that the yoga community can be a surprisngly insular environment in which aspiring yoga teachers learn asana alignment from other yoga teachers who learned their alignment from teachers before them, etc., and at no point in this handing down of information do yogis tend to step outside of the tradition of yoga to learn about anatomy and biomechanics from objective movement professionals who base their teachings in the science of the body. So when I saw this article come through my feed, I was excited to read it because I was hopeful that it would contribute some new and interesting information to the greater yoga alignment dialog. The magazine Yoga Journal and the large yoga studio chain YogaWorks are both very established entities in the yoga world, so the articles they publish about yoga alignment are considered authoritative by many yogis. But as I made my way through the article I became progressively disheartened because rather than introduce new and intriguing alignment insights, I found instead a reiteration of some standard old-school yoga cues that biomechanics has long ago proven to be unhelpful and which many movement professionals retired from their teaching years ago. Does that make sense? In order to fix the common issue of jutting-forward ribs, yogis need to tuck their pelves. 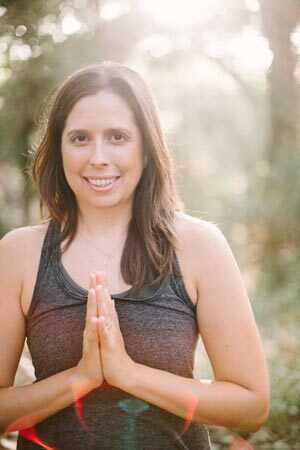 Alexandria’s advice is well-intentioned and is certainly a commonly-held belief in the yoga world, but this perspective has been outdated by modern movement science for years now. Here is the biomechanics to explain why tucking our pelvis does not fix our ribs-forward issue. Alexandria implies in her article that most people have a forward-tilted pelvis (also called an anterior pelvic tilt), which needs to be brought back to neutral with a posterior tilt, or tuck. But the anatomical truth is that the overwhelming majority of us present with pelves which are actually tucked under (also called posteriorly-tilted), which is the opposite of forward-tilted. We sit in so many chairs with rounded spines and tucked-under hips for the majority of our time that our body can’t help but adapt to this shape. But then why would Alexandria and so many other yoga teachers and yoga teacher training programs like the ones at YogaWorks teach that most people have forward-tilted pelves that need tucking? Great question - I’m so glad you asked! It’s because in addition to having a tucked pelvis, most people also present with a forward translation of their rib cage, also called rib thrust or rib shear. Here's me with my ribs forward - do you see that my lumbar curve looks exaggerated here? I repeat, the fix is not to tuck the pelvis. Tucking the pelvis when we're already tucked leads to major body imbalances that we don't need to delve into right now - but it's not what we want to be doing. The correct fix is to return the rib cage to neutral, which you could certainly cue as “soften your front ribs” (but there are many other ways to convey this same action). However, the only poses from that long list in which most of us would be well-advised to work a tuck of our pelvis are high crescent lunge and warrior 1 - and that’s it! I feel thankful to have realized at a certain point in my yoga path that I had only learned about the body from people within the yoga tradition, and that it might be a good idea to seek some broader, more objective knowledge from movement professionals from outside the yoga world as well. The knowledge I’ve gained (and continue to gain!) from years of studying have given me a profoundly different perspective on the way that yoga approaches the body. Armed with these new understandings, I’m actively working toward helping yogis understand biomechanical alignment and how we can apply this modern-day movement science to our yoga practice to keep our beloved tradition of yoga evolving and current. I understand that traditions don’t change overnight and that people tend to have ingrained notions about the way the body moves or which alignment cues are optimal that can be challenging to dislodge. But one great first step toward embracing positive change is to not accept at face value something that was written in an article just because the article was published in an established entity like Yoga Journal. Yoga Journal is not the authority on how the body moves- biomechanics and science are the authority. Related Post: Pelvic-Tucking and Lumbar Flexion: Movements We Shouldn't Be Doing in Yoga?